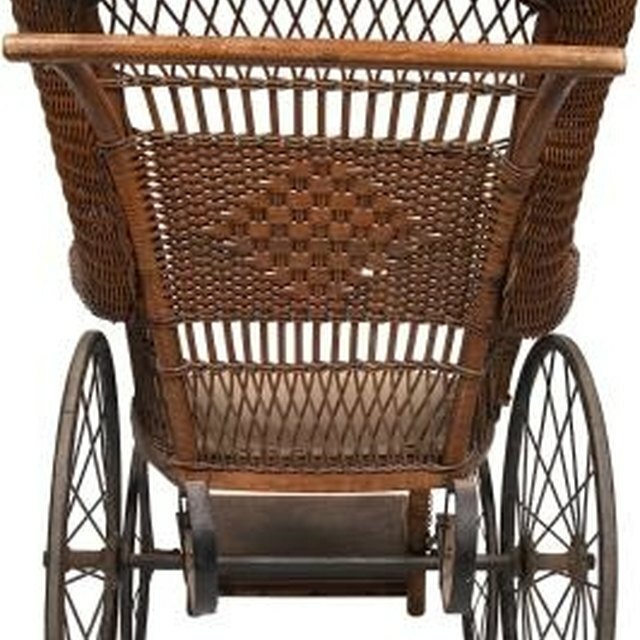 Wicker furniture is made up of vine, most commonly, rattan. The durable vine is lightweight, easy to move and ideal for indoor and outdoor furniture sets. As with any type of furniture, wicker needs to be cleaned to maintain its look and help it last. Natural wicker furniture does best indoors, as the sun and humidity causes the vine to crack or wear down. Resin wicker is recommended for outdoor living, because it holds up to the elements. Cleaning wicker is simple and can be done with cleaning materials already found within the home. Wicker furniture is easy to clean. Wipe the furniture with a clean cloth to remove dust. In hard-to-reach areas, use a brush attachment on the vacuum to remove dust or debris. Mix gentle dish detergent with warm water to create suds. Scoop the suds onto a sponge and gently wipe the wicker. Use an old toothbrush to clean in the crevices, if needed. Remove mold or mildew from the furniture by mixing a 50/50 solution of water and bleach, and then applying with a small brush. After a few minutes, rinse the area with a damp cloth. Place the furniture outdoors in a shady area to dry completely. If you leave the wicker indoors, use an oscillating fan to circulate air around the furniture to speeding drying. Hose down outdoor resin wicker to remove dirt and debris from the furniture and then dry it in the sun. Wicker Furniture: What Is Rattan Furniture?